If you would like to help spread the wisdom and beauty of this ancient system of preventative health care, rejuvenation and longevity, consider joining our academy for professional training as an Ayurvedic Health Counselor. • Enrollment is limited to 14 students per academic year, offering a personal and supportive educational environment. Our next 16-month Ayurvedic Health Counselor Training program begins January 18, 2019. 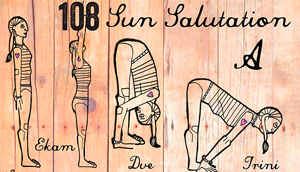 It's true, about a quarter of way through 108 Sun Salutations we all ask ourselves "why did I sign myself up for this? "....We can't think of a better way to enter the New Year than answering some hard questions right out of the gate! Let your body do the talking as it adapts to the repetition of movement, and who knows, it may render you that much needed discipline you crave during a change of season. The Body Electric's Jessica Mihm will provide you with the mental stamina and modifications you need to keep your body happy. DJ Menscha will be providing the jams. Sweat out the old and make way for the new at Cage Brewing! Dress in layers, bring a mat, and set your intention for the year ahead. Afterward, hang out with your fellow yogis and toast great beginnings with a Cage brew or Mother Kombucha. Are you new to yoga and want to learn more? Or maybe you have been attending classes for a while and have questions about what you are doing and why. Join Amanda Riker for a six-week crash course on the practice of modern yoga. 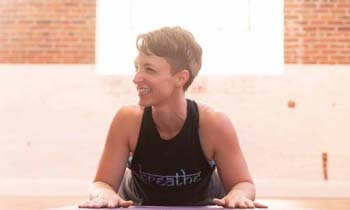 Amanda will cover an array of topics from the functions of popular yoga poses to yoga history and breathing techniques. By the end of the series, you will be confident in developing your own practice, and have a strong grasp of the techniques employed in today's studio classes. Students are encouraged to be present for all six sessions and must preregister. Dress for yoga as each class will include a different short practice. Breaks will be offered to grab a snack or jot down notes. Please bring a journal and your mat. If you have questions about the course, contact Amanda at: [email protected]. BE Inspired: A Yoga Story + Kirtan! Come cozy up with us for a night at The BE filled with meditation, playful song and story. Perfect for those looking to reconnect with themselves a little more deeply and sit in a safe space amongst a community of like-minded people. Shahar will be guiding you through a short meditation practice, followed by call-and-response kirtan songs (great for first time chanters!). We'll wrap up the night cross legged, with an inspiring story rooted in yoga philosophy that your imagination can translate into your own life. Come join us to celebrate yoga, its wisdom and the peace it brings to our lives. Following the busy holiday season, join us for a much needed body reboot on the Garden Terrace, January 13th, with Yoga Instructor Liseli Harloff. This class is donation only and welcome to ALL skill levels! PARKING is valet only and complimentary! REMEMBER Please remember to bring your yoga mat, towel and water bottle. BRUNCH Stay for an exclusive brunch at 10% off with discounted drinks in Elevage from 11:00AM – 1:00PM. Brunch reservations are encouraged. This training is for those who are fascinated with the magic of breath, and for anyone looking to incorporate powerful techniques into their professional and personal lives. Our breathing patterns and habits are directly linked to our thoughts, feelings, and physiology. We define our elixir of life as the breath. The way we breathe is one of the quickest and most potent ways to alter our brain waves, energy states, and blood chemistry. We will focus on all facets of respiration while integrating the information into personal practice. You'll learn how to use breathing patterns to influence your immunity, mood and vitality, along with understanding the ancient philosophy behind our life force. 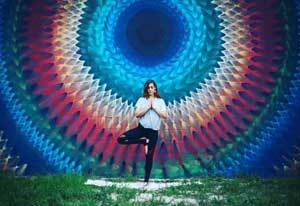 Dani Mae has spent the past two years immersed in a studentship of pranayama, breathwork and the science of breath. She pulls her instruction from teachers of free-diving, pranayama, pulmonology and countless other specialties which incorporate or influence how we breathe. Please feel free to e-mail Dani with any inquiries at [email protected]. Join Jared McCann for his first appearance at The BE! 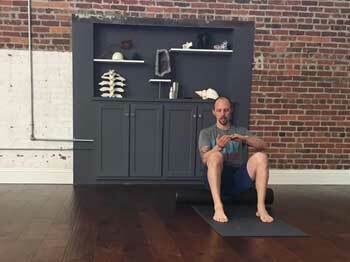 JM Vinyasa is Jared's classic beginner yoga sequence that he has developed over the past decade. The class is a mix of Ashtanga, Bikram, Dharma, Forrest and Iyengar yoga. It is a dynamic, fun and challenging class suitable for all levels of practitioner. This class is designed to take you deeper into your physical body and the present moment via precise attention to detail through verbal and physical adjustments. In other words, it will totally rock your world! Don't miss it! Jared McCann is an international yoga teacher and holds an advanced E-RYT 500 designation. He is the two-time National and 2013 World Asana Champion. Jared has studied yoga extensively with Dharma Mittra, Anna Forrest, and Mary Jarvis. He enjoys combining all disciplines together in his Vinyasa series and continually studies new and old traditions and implements them to both his practice and teachings. Jared is the founder of Lighthouse Yoga School in Brooklyn, New York. He loves his students and leads teacher trainings year round. Reversing the effects of gravity and a little blood rush to the head leaves you feeling like you just got a natural yogi facelift. 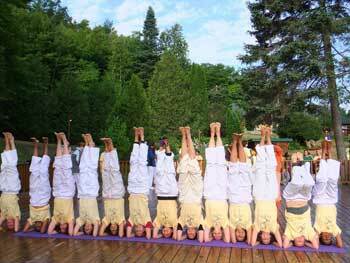 Headstand, "the king of asanas", can be medicine for the body when they're practiced with knowledge and care. 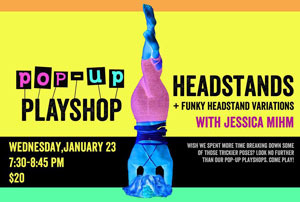 In this playshop, Jessica Mihm will show you the Sirsasana ropes. Learn basic techniques, more advanced variations, along with ways to protect you and take care of your neck. Space is *VERY* limited, please view our cancellation policy* before you register. You will be refunded the full amount minus a $10 processing fee, provided we are informed via email 24 hours BEFORE the event. Write us at [email protected]. Do not call. If you'd prefer BE credit, we'll apply the full amount to your BE account. No credit or refund is available if you cancel on the day of or after the start of a workshop, if you do not show up, or if you leave an event early for any reason. Aham Prema is a mantra meaning "I am divine love." It comes from the Sanskrit, aham, meaning "I," and prema, meaning "love" or "affection." Mantras are repeated silently or aloud for their powerful sound vibrations, which are thought to affect prana (life-force energy) in the body and for their ability to transform or achieve a purpose. Join Jessica Mihm for an hour of chanting to raise your love frequency. 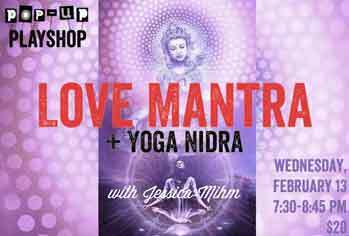 We'll finish with a guided Yoga Nidra that'll be sure to set you up right for (a self-loving) Valentine's Day. Space is *VERY* limited. Please view our cancellation policy before you pre-register. Cancellation Policy for Workshops: You will be refunded the full amount minus a $10 processing fee, provided we are informed via email 24 hours BEFORE the event. Write us at [email protected]. Do not call. If you'd prefer BE credit, we'll apply the full amount to your BE account. No credit or refund is available if you cancel on the day of or after the start of a workshop, if you do not show up, or if you leave an event early for any reason. Join Carson Calhoun for a practice utilizing the fundamentals of Power Yoga in a fun, beginner-friendly Vinyasa class. All levels welcome! A self-described "Handstand-Up Comedian," Carson combines his love for being upside-down with his natural ability to make people laugh. His classes, workshops, and continuing education modules encourage students to push their limits and explore their edge, while maintaining a playful attitude. In every instance, you can be sure to break a sweat, learn something new, and leave with a smile on your face. Learn techniques to make your yoga practice stronger. In this workshop, Carson Calhoun will show you how to use body weight exercises to build arm and shoulder stability, core control and a stronger pair of legs. All levels welcome. Come join Carson Calhoun for a ride on the rocket ship! Rocket Yoga is a dynamic and challenging sequence, combining poses and transitions from Ashtanga's Primary, Second, and Third Series. In this class, you can expect a little bit of everything: arm balances, backbends, deep twists, and of course, inversions. Be ready to work hard and play hard. All levels welcome. Join Carson Calhoun for this master class. We will explore advanced poses and transitions that you won't see in your everyday Vinyasa class. Examples such as handstands, forearm-stands, press-ups, hollow-backs, floating, flying, etc. Attendees don't have to be yoga teachers, but the ability to hold a handstand is a prerequisite for this intimate experience. You are invited to join Shahar for an empowering workshop dedicated to the teachings of self defense in a non-competitive, friendly and holistic setting. In this workshop we will learn practical tips such as: how to release from holds, how to release from grips and how to overcome larger adversaries with minimal effort/maximum effect. Using these simple techniques, we will get into the nature of aggressiveness and how dominant energy can overcome it. Finally, we will talk about the energetic and spiritual aspects of martial arts and how they manifest through self defense. Get out of that rut. Stay effective and inspired! This 5-hour workshop with Rachel Miller will focus on BROADENING your horizon as a teacher, and reigniting your passion as a student. Being a yoga instructor takes a lot of time, work, energy, and commitment. Every time you teach, you're sharing a piece of yourself. Many of us know what it's like to lose inspiration in the hustle and bustle of juggling private clients, managing a busy class schedule, and finding time for your own practice - not to mention holding down a day job! This refresher is designed to rekindle the flame, while sharpening your tools in sequencing, cueing, anatomy, and playlist creation. We'll start the morning with a 2-hour vinyasa flow and meditation practice, so you can enjoy being a student again. In the afternoon, we'll get to work, learning and sharing successful techniques and methodologies together. There is no one right way to do something! Staying authentic to yourself and responsible to your students means you can never afford to stop learning. eligible for CE hours through Yoga Alliance. Annie Okerlin presents iRest Yoga Nidra at The BE! iRest is a meditation practice based on the ancient tradition of Yoga Nidra and adapted to suit the conditions of modern life. When practiced regularly it can create a strong sense of inner peace and wellbeing, which you can bring to any difficult situation. iRest Yoga Nidra is a research-based transformative practice of deep relaxation and meditation. This guided meditation is generally practiced lying down or seated comfortably with props. In 2006 Richard Miller, PhD, of the Integrative Restoration Institute (IRI), developed the protocol and led the initial iRest research at Walter Reed Army Hospital. In June of 2010, Yoga Nidra was endorsed by the US Army Surgeon General and Defense Centers of Excellence as a complementary and alternative medicine (CAM). select a specific topic: heartfelt mission/desire, inner resource, spaciousness, opening the void, etc. In this class we will discuss the idea of Functional Anatomy. We will learn the basics of biomechanics. We will talk about the difference between mobility, stability and complex movement. markers we will also observe each other's postures. We will also learn to do a proper postural analysis. These anatomy sessions are a part of Jessica Mihm's High Vibration Living Yoga Teacher Training and are taught by Dr. Lance Robbins of RX Chiro. You do not have to be a yoga teacher or trainee to enroll; these sessions are open to the public. You may attend one session or all four sessions. 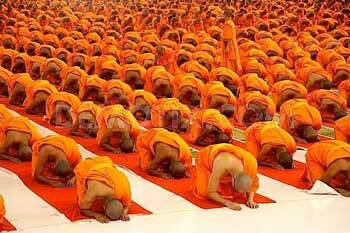 The act of ritual prostration is an important component of many of the world's great spiritual systems. 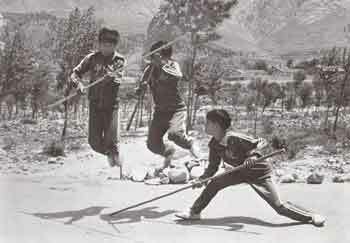 Bringing one's body to meet the earth is recognized as a profound technique for the cultivation of devotion, contemplation, humility, health, and ecstatic exaltation. In recent times, the Namaskar form of prostration to the solar archetype has become a ubiquitous component of modern postural yoga classes. 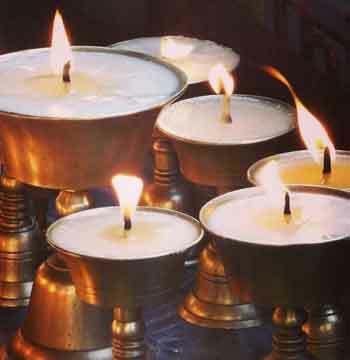 Join John-Allen Gibel for an exploration on the history, anatomy, evolution, and power of the Namaskar, with a particular focus on the yogic variation of the practice as found in the wisdom traditions of Tibet. The Tibetan style of prostration is a sincere gesture of an intention towards enlightenment, and is said to purify negative karma, to cleanse the energetic channels, prana, and power centers of the yogic body, and to effect transcendental insight and healing. It is common among both lay-persons and monastic Tibetans to perform hundreds of thousands (and in some exceptional cases, millions) of prostrations over the course of a lifetime. After we explore theory, we will learn the proper practice, so come prepared to sweat. 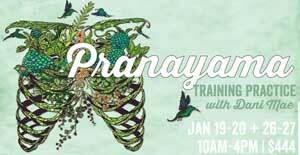 Join Tiffany Wimmer for an overview of Ayurveda and the doshas: vata, pitta, and kapha. We will talk about how these doshas show up in our ashtanga practice as well as our daily lives. Bring a yoga mat and a journal to explore and record. We'll practice doshic breathing, and experience the postures of the ashtanga primary series in three different ways, one for each dosha. You'll leave with a better understanding of how to approach your practice with an Ayurvedic mindset, giving you the tools to manage your energy and temperament in your practice. In this class we will cover the anatomy and biomechanics of the spine and pelvis. We will also discuss briefly the role of the nervous system, which is the master coordinator of all functions of the body. Finally, we will examine how the mechanics of respiration can change the dynamics of the nervous and musculoskeletal systems. These anatomy sessions are a part of Jessica Mihm's High Vibration Living Yoga Teacher Training and are taught by Dr. Lance Robbins of RX ChiroRX Chiro. You do not have to be a yoga teacher or trainee to enroll; these sessions are open to the public. You may attend one session or all four sessions. Calling all All Rocketeers, Ashtangis, and general Vinyasa junkies! This weekend is for students who love the Rocket and want to fully immerse themselves in the methodology and philosophy behind the Rocket as well as 200hr Yoga Alliance Certified Teachers who would like to become Rocket Vinyasa Certified and Registered teachers. Group practice and opening circle. Arrive 25 minutes early to get checked in and get settled for class in Earth Room. THIS IS NOT A ROCKET-CERTIFIABLE TRAINING, but is a prerequisite for any instructor interested in taking the 100-hour Rocket Yoga Teacher Training with Jessica Mihm. Jessica Irene Mihm is a 500EYT and Level 4 authorized Rocket Vinyasa Yoga teacher under the lineage of David C. Kyle & Larry Schultz. She has been given David's direct blessing to lead weekend prerequisites and the first 50 hour module of the rocket training. This dynamic, hands-on workshop is for those who would like more knowledge and understanding of the functionality of the Chakra System in relationship to yoga and, how it integrates Chakra balancing into a daily practice. How to identify when a Chakra is in disharmony and how to determine the technique that would best clear an unbalanced chakra. You will be given tools to consciously build your own daily yoga routine and yoga sequence to open, balance, and charge the energy field. You will leave this workshop feeling renewed. You will leave this workshop equipped with knowledge to enhance the positive effects of Reiki and Yoga where you and your clients will benefit greatly. What causes the most common yoga injuries. What to do if you or your students have them. Injuries to the knee, hamstrings, sacroiliac joint, low back, shoulder, wrist and neck. Each class includes lecture, demonstration and practice. 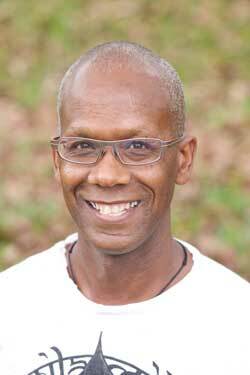 Roger Cole, Ph.D. is an internationally recognized yoga teacher trained at the Iyengar Yoga Institutes in India and San Francisco. He is also a scientist educated at Stanford and the University of California. Dr. Cole has conducted yoga research and authored dozens of articles on yoga anatomy, physiology, teaching and practice. He has trained thousands of students and teachers worldwide. Ayurveda is a science of life. It offers a body of wisdom designed to help people stay vibrant and healthy while realizing their full human potential. In this AYURVEDA MINI RETREAT, we will cover the basic concepts of powerful and sacred self-care practices of preventative health and empowered self-healing. The aim of this hands-on and experimental session is to help you to establish a routine that is both workable and supportive within your daily schedule. Dinacarya, or Ayurvedic daily routine, is the foundation of health, happiness, and spiritual advancement and cannot be underestimated - it can and will change your life in relation to self-care. We supply the oils, self-cleansing materials, and knowledge. You bring your curiosity and desire to live a healthier life. For 2 hrs and 45 min, let go of the heavy demands of your daily life and tasks that seem never ending, and focus in nurturing self-care on a deeper, more profound level. You will leave this mini retreat feeling pampered, renewed, and with a clear understanding of how to find the balance to take time for selfcare on a deeper, more profound level. This workshop is open to all and there is no prerequisite to attend. Includes a worksheet and certificate of completion for 3 CEUs'. Please bring a towel to support the Self-Massage. Participants are encouraged to register ASAP. Are you an athlete looking for quicker recovery after training? Do you have a foam roller holding space at home that gets no use? If you answered YES to any of the above this workshop is for you! In this workshop we will incorporate the foam roller as well as some yoga poses to release areas of tension and increase flexibility. PRE-BOOK HIGHLY RECOMMENDED LIMITED SPACE! Ancient texts of Hatha Yoga state that inside the body of the yogi are mountains, valleys, oceans, and rivers; the moon and stars move in that inner space. When practice took ancient seekers deep inside, they encountered an amazing world beyond rational thought. They used symbols to map this inner journey and, over time, those symbols became the esoteric Chakras, Granthis, and Nadis of medieval Hatha Yoga. Come and see what you find when you shine the light of Kriya, Asana, Pranayama, Bandha, and Mudra into your inner world and look closely through the eyes of meditation. Come and practice as the ancient yogis did, using Hatha Yoga rituals to remove the obstacles to inner experience. This Master Workshop if part or our Advanced Teacher Training. About the Teacher: ​Yoganand Michael Carroll, E-RYT500 former Dean of the Kripalu School of Yoga and founder of Pranakriya Yoga in 2005. 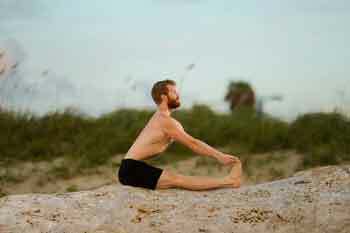 Through many years of intensive study and practice, he has gained a profound ability to distill and interpret esoteric yoga texts and techniques. He is a masterful storyteller who makes learning complex philosophical concepts fun and engaging. 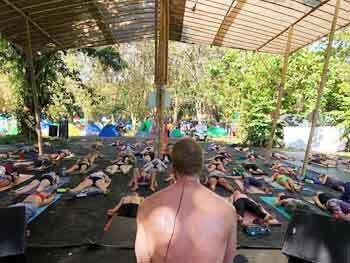 He is a member of the International Association of Yoga Therapists. A fascinating, fun, interactive 6-week class series teaches you how to bring the ancient teachings of Ayurveda into your life. Ayurveda is the oldest system of medicine in the world, the sister science to Yoga, and addresses healing at the root. • The basic principles of Ayurveda. • Your natural constitution and the nature of any imbalances you may have. • The Cause of Disease. Food, Touch (self-massage), Aromatherapy, Color Therapy, Music Therapy and Healthy Lifestyle routines. Meditation, Nasal Cleansing, Pranayama (breathing techniques), and more! Course fees include neti pot, spritzer bottle, eye wash cup, tongue scraper, and Healing Your Life book by Marc Halpern. If you already have a tongue scraper and Neti pot, choose the $120 option. 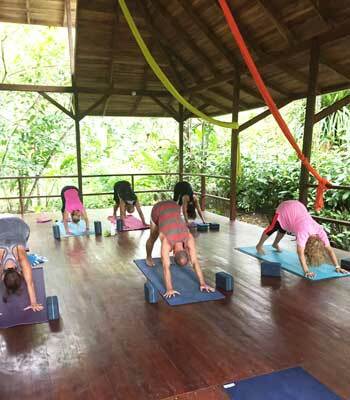 Awaken your true spirit and completely disconnect in the jungle of Costa Rica. Join Heather Benton, ERYT500, for a week long journey to the land of dreams, Tierra de Suenos Wellness Lodge. This week-long exploration includes 7 nights accommodations in ecotourism minded bungalows, 3 freshly prepared healthy meals a day, invigorating morning and restorative evening yoga classes and a group meditation jungle hike to a waterfall. Join Heather in this lush, peaceful, natural surrounding to reconnect with your true Self while supporting the local economy. Instead of TV's, phones, emails, voicemails and computers, fill your day with hiking, biking, surfing, kayaking and of course yoga! TRANSPORTATION: ​Transportation and airfare not included but group shuttles are available. or 727-480-3004 for more information. Master one of yoga's most powerful yoga postures. Headstand, often called "King of Asanas". 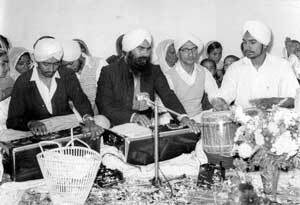 It is best known for its many profound spiritual, physical, and mental benefits. To learn headstand (Sirsasana) safely, it's best practiced stage-by-stage. In this workshop you will learn to systematically progress your headstand through 8 simple steps. This gradual approach gives you a strong foundation to hold a headstand steadily and in correct alignment. Join both Shahar and Jenny Miller for this workshop that is suitable for all levels, including those who are brand new to the headstand or intimidated by being upside down or falling. Those who already have a headstand practice will learn to hold longer, stronger, and more comfortably, as well as to transition into other more advanced variations of the headstand. "Sirsasana is really a blessing and nectar. Words will fail to describe it's beneficial results and effects. This is a panacea, a cure-all." 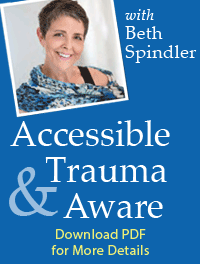 Beth Spindler a yoga therapist, teacher, and published writer on yoga related subjects. 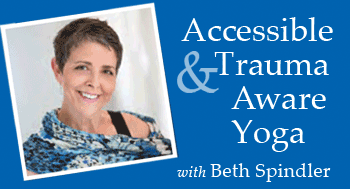 A frequent contributor to YogaInternational.com, she has offered yoga therapy in hospitals, clinics, and schools and has been on staff as a yoga therapist at the Himalayan Institute, Omega Institute, and in centers for addiction and recovery. In this Basic Level training students will learn the anatomy and physiology of the growing fetus and the resulting changes in the mother's body during each trimester. Topics covered include fetal development, physiological and hormonal changes in the mother's body as well as possible body responses to these changes. Appropriate asana, assisting, pranayama, sounding and meditation will be covered for each trimester, including post natal. Pregnancy discomforts during each stage will be explored along with ways to use yoga, non-traditional methods and traditional techniques to help alleviate these (synonym for discomforts). Each day begins with a prenatal yoga class during which participants wear "pregnant bellies" for each trimester to simulate the experience of moving in a prenatal body. Class will be followed by theory, practical application and practice teaching. In addition, the course will provide tips for labor and birth, partner prenatal yoga and marketing oneself. Students will leave confident, qualified and comfortable to teach prenatal yoga. This Master Workshop is part of our Advanced Teacher Training. 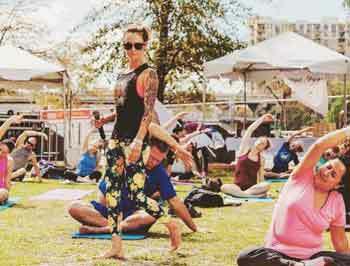 About the Teacher: Jacci Gruninger C-IAYT, MS, E-RYT 500, RPYT, is a Senior Pranakriya and Kripalu yoga teacher and leads a variety of yoga teacher training around the country. With a Masters in Health Science, she creates and manages wellness programs for The George Washington University and Arlington County Government. 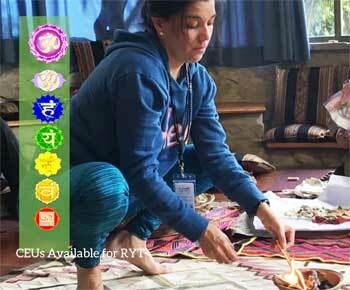 She is a Yoga Therapist and also practices Thai Yoga Therapy. Both modalities give her an opportunity to work one-on-one with clients during their healing.